Want to turn heads? Transform your vehicle into an attention-getting billboard with a full car wrap. Why fix your message in a single location that will be seen by the same people every day? Diversify! Take your message with you – show it around Houston, parade it in front of your customers, display it in front of your target market. 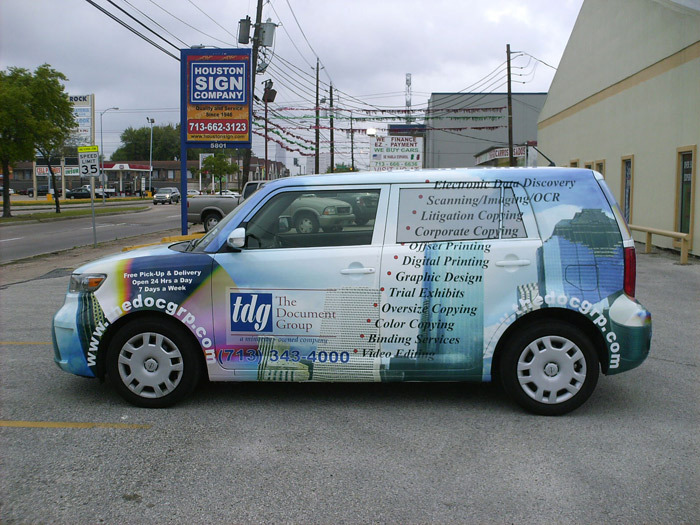 Full vehicle wraps offer versatile, fun, and highly effective advertising. View more examples at our full vehicle wrap, graphic & design gallery. Maximum space means maximum message impact! Make use of every inch of space to get your business, service, or product noticed with a Full Vehicle Wrap. Offer potential customers a 360° view, including the sides of your vehicle, roof, and hood. Customize it with Houston Vehicle Wraps! Some vehicles (like Scions, Elements, Beetles, and PT Cruisers) flaunt full vehicle wraps with their unusual shapes. Others offer additional graphic space (vans, trucks). Whatever type of vehicle you have, we will custom-make the car wrap to maximize impact. 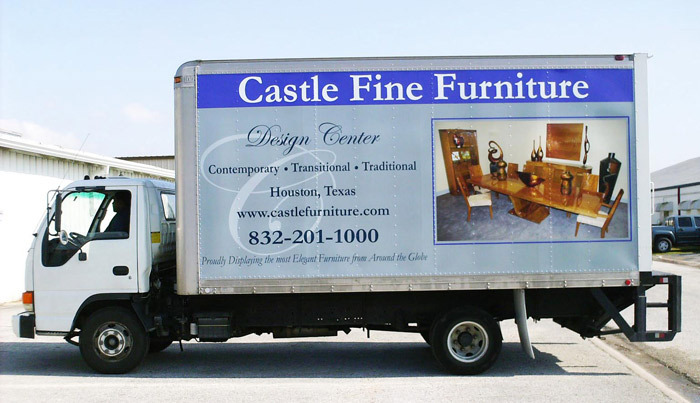 Houston Sign Company employs a team of graphic designers who know how to make a car wrap stand out. We’ll work with you, your vehicle, and your message to choose colors, fonts, images, and placement that will get you and your Houston vehicle wrap noticed. Do you need to advertise with a full car wrap for a day, a week, a month, or even a high-profile hour? No problem! With our high-grade materials, we can remove it in one easy peel, leaving no damage or residue.